Introducing our new liner pattern MacDuff. This fully 27 mil exclusive pattern is a variation of our McDowell pattern. It features our brand new brilliant blue vinyl which makes this pattern sparkle! This pattern features old world architectural details and beautifully sophisticated stone work. 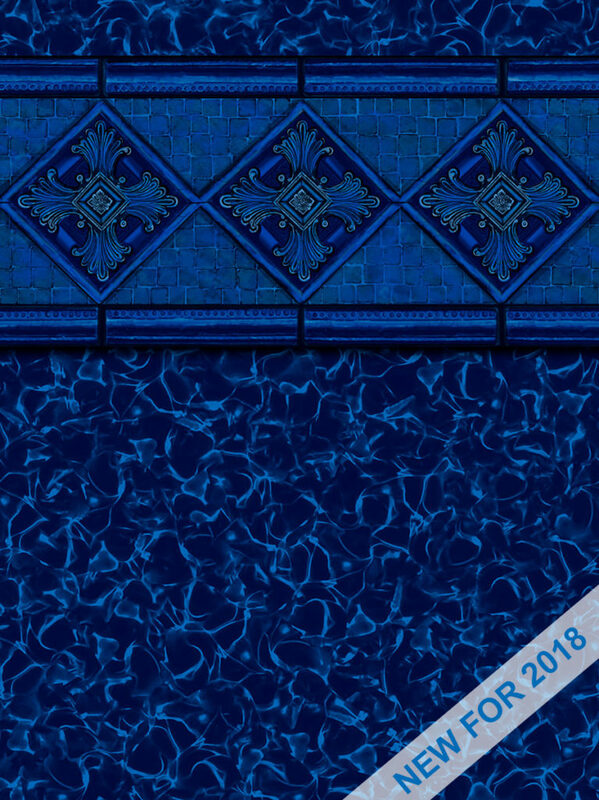 The rich, deep vibrant blue of this new pattern will create a sparkling sapphire lagoon right in your backyard!